When your business needs high quality color catalogs, trust your image in the hands of experts. Our in-house bindery and 210 linescreen printing capabilities, provide you with brilliant full color catalogs that will impress your clientele and blow away your competition. 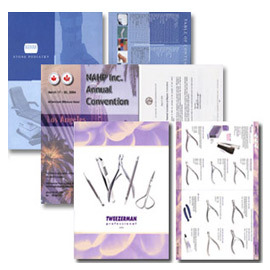 We offer many options for self or plus cover catalogs, with a variety of finishing options which can be found below. 1. Select options for your catalogs. 2. Add catalogs to your list.